WeAllSew Celebrates Our Loyal Fans: 66,000 Likes! 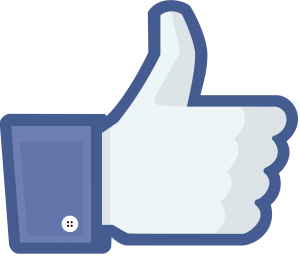 We’ve just reached 66,000 likes on our BERNINA USA Facebook fan page! We quickly reached our goal of 66,000 fans, and as a way to say “Thank You!” to all who join us at Facebook to share your love of sewing and creating, we are hosting another special giveaway. What special sewing tool is on your holiday wish list this year? Maybe a new sewing machine, sewing notions, or more sewing supplies like fabric? Sweepstakes Rules: Open to residents of the 50 United States and the District of Columbia. One comment per fan. Comment must be submitted to the WeAllSew.com blog within 24 hours after blog post posting by December 4, 12:00 midnight Central Time. Winner will be chosen randomly. Winner will be announced about one week after contest ends, and will have 48 hours to contact us at WeAllSew@berninausa.com to claim the prize. Keep checking back here starting next week! Congratulations to the winner of our 66,000 Likes contest, WeAllSew fan BeckMoyer! 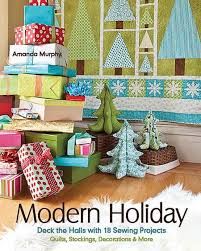 Enjoy your copy of Modern Holiday! A new sewing machine would be perfect!! I’ve got the upgrade to embroidery software version 7 at the top of my wish list this year. A new serger is on my wish list! My poor old Bernette is practically “vintage” at this point! My list includes a Hex N More ruler, Bloc_Loc Square Up Set and fabric of course! I have asked Santa for a new 710…. A new pair of dressmaker shears. I would like a couple of Bloc Loc rulers. Just bought a new machine, so definitely more fabric, perhaps a few patterns and books, and certainly more bobbins. I’m excited to have another chance to win! On the top of my list for my sewing room is a dress form ! I’ve always wanted one so I could fit my creations perfectly!!! I am hoping to add the Jumbo hoop for use with my 830. A new sewing table is on my Christmas list this year! My goal for the coming year is to launch a home sewing business offering handmade personalized items. My wish is for a new sewing machine with beautiful monograming and script lettering capability. I have fallen in love with the Steady Betty (pressing board), and how much it helps quilt blocks not to stretch out of shape when pressed. Would LOVE to have one! I want a scalloped scissor to cut felt that I use in some of my sewing projects. A new sewing chair! Mine is a hand me down, and while I am grateful to have it, it’s just a little too short to reach my machine comfortably and it’s get a bit worn out. I would like a small, pointy, sharp seam ripper like Bernina put in the machine tool box back in the mid 80’s. They may still have this seam ripper, but I have not been to any sewing stores for a while. Would love a ‘cover stitch’ serger. Happy Holidays! Gadgets! Just can’t get enough! Not sure – do I need to leave a comment to be included in the Fan Giveaway? A pinking rotary cutter – thanks. My dream wish would be a quilting machine or a serger. A new Bernina! I tried one yesterday at my LQS! In love with the 750 QE! It will be a great companion to my 20 year old 1530! 🙂 Thanks for a chance to win this book! I’m getting the big binder and look forward to learning to use it! Easy one… I want leather sewing machine needles, and some more leather would be really cool! I need nothing but get excited by anything related to sewing. Fabric, notions, patterns, kits, new machine . . . .doesn’t matter. I love it all! My wish for a new sewing tool is Bernina’s binder attachment #88, for unfolded bias tape, so I can bind my quilts quicker than doing it by hand . A Jinny Beyer perfect cut 60 degree ruler. I’m hoping to get some pantographs since I’m getting certified to rent long arm time! My dream is a longarm quilting machine! I would like to have the new Bernette Chicago. I have the Virtuosa 150 QE and love it. It is my only machine and the Chicago would be a nice addition. Thanks for the chance. How about a cabinet for the Bernina 1130 that I bought 25 years ago and is still going strong every single day! I really want a serger. Maybe someday…. I just got the version 7 embroidery software and I would really like time to learn it and sew, sew, sew! I am waiting for the new serger with the knee lift and Bernina foot control with needle up/down. That is top of my wish list. I would love to get a pin tuck foot! there is a rumor of a 710….but a new quilt pattern would be fun too. Embroidery software is on my wish list. Gorgeous fabric is on every list I ever make! Designer Plus version 7, and a whole bunch of new rotary blades! I love pre-cuts. My favorites are fat quarter bundles and 10″ squares. Thanks for the giveaway. I’d like a foot for couching cords – let’s hear it for embellishing! Just your basic sewing needs: replacement needles, 45mm and 60mm rotary blades, new LARGE cutting, self-healing mats, thread, interfacing, floor lamp with LED lighting. And, of course, FABRIC. Thank you!!! I’m hoping Santa brings the Cutwork tool and some pre-done designs to try it out. I think a fabric cutter would be fun!